The All In One Light multipurpose solution surpasses ISO disinfection standards. 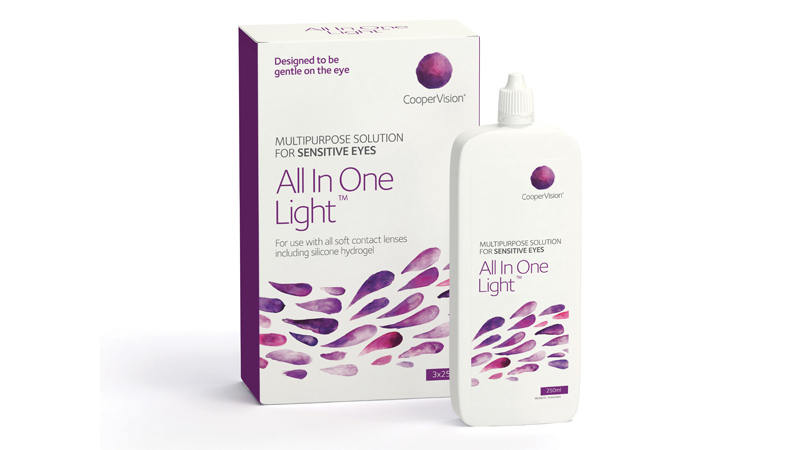 Patients receive a highly effective and comfortable solution for maintaining clean contact lenses. Enhances lens comfort and stops lenses drying out. Very high levels of patient acceptance. Successfully used by more practitioners and patients than any other multipurpose solution product. Removes typical build up of proteins, lipids and calcium.